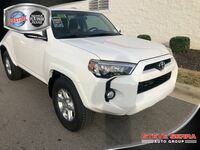 The Toyota 4Runner is the full-size and fully-equipped performance Sport Utility Vehicle from Toyota. This model is built for the adventurer in you. It is specifically designed to be able to tackle the tougher conditions that conventional SUV models might not be able to. 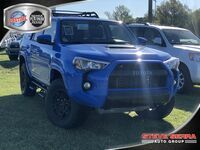 Incredibly muscular and athletic, the powerful 4Runner can tow your equipment, carry your gear, and give you a comfortable interior in which to ride. The 4Runner has a well-rounded trim spectrum so that SUV shoppers can find the right 4Runner for their needs. The 4Runner’s trims have a variety of models that can cater to off-roading, towing, or just plain driving. 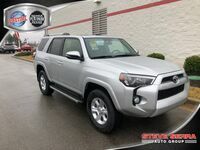 No matter which trim you choose, the 4Runner always offers the latest in performance technology, safety features, and connectivity amenities for you to enjoy. The 4Runner has all the room you need for gear, cargo, and passengers. Built to be spacious and comfortable, this SUV has all sorts of comfort features to keep you and your passengers relaxed and ready for your day. 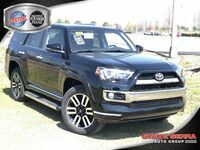 With incredible durability and customizability, the 4Runner can be suited to your specific needs. Are you a car shopper who isn’t sure that they want to make the commitment of buying a new vehicle? Maybe you are planning on moving or traveling quite frequently in the coming years and just want something a bit more flexible than purchasing. Leasing is the option for you. Leasing allows car shoppers to get into a new vehicle for a shorter period of time than how long you would normally own a vehicle. Generally, you’ll pay lower monthly payments and won't have to worry about putting such a significant down payment on the table like you would when you buy. You can also update your vehicle at a faster pace to keep up with the constantly evolving automotive market. 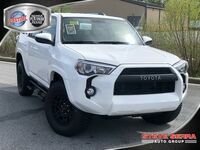 Contact us at Serra Toyota of Decatur to get more information on lease offers! 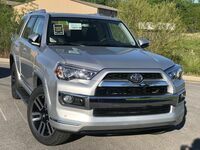 The 2018 Toyota 4Runner has an impressive 5,000 lbs. towing capacity. In the 2018 Toyota 4Runner, you'll find a 4.0L V6 engine. The Star Safety System™ comes standard on all 2018 Toyota 4Runner models. 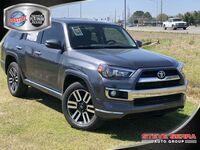 The 2018 4Runner may look rugged, but it is built with soft touch materials and refined features for your comfort. Standard features on this model include 17-inch alloy wheels, front and rear mudguards, and more! 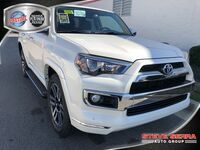 The 2018 Toyota 4Runner can achieve 17 city/21 highway mpg*.